QUANG BINH (VNS) — A whirlwind uprooted dozens of roofs of houses in the central Quang Binh province early yesterday. 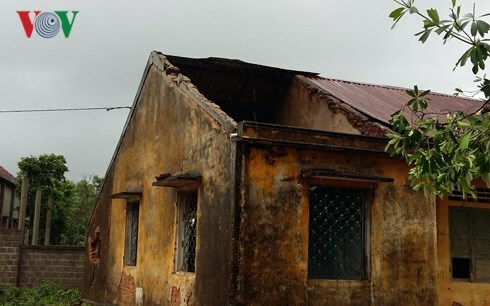 In Thong Nhat hamlet and sub-area 8 of Nong Truong Viet Trung town, Bo Trach district, 41 houses had their roofs ripped off after being hit by whirlwind that lasted just five minutes. Thong Nhat hamlet has 33 houses, 22 of them were left without a roof, and suffered maximum destruction. This morning, another whirlwind swept through The Loc and Nguyet Ang hamlets, Quang Ninh district, leaving the rooftops of 22 houses open to the elements.